Welcome to the Facebook Marketing Strategy series in which we share the best practices for how to use Facebook for business! This is part 13 of the series. Established publishers and brands usually have a full-time production staff or relationships with top celebrities to create amazing content and eye-catching campaigns. But if you’re not one of them, don’t fret — we’ll share some timeproof strategies that have helped many companies increase their visibility, engagement, and social following on Facebook. An easy way to increase engagement on Facebook is to publish posts, blogs, videos, and other types of content that discuss popular topics. There are plenty of free tools that you can use to find trending topics: Facebook Trending, BuzzFeed Trending, and BuzzSumo — just to name a few. Monitor these platforms regularly and move fast, since what’s trending today can easily turn outdated tomorrow. 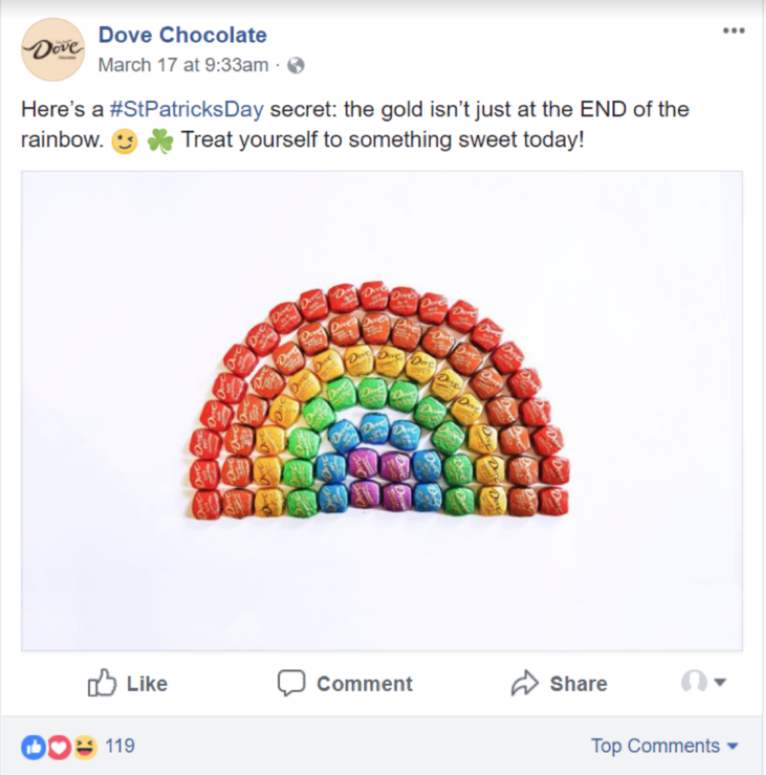 To jump on the St. Patrick’s Day bandwagon that generates social media attention every year, Dove created a graphic showing a rainbow made of its chocolates with different colored wrappers. The photo was a simple, creative, and fun way to insert their brand into the St. Paddy’s Day conversation. More than 8 billion videos and 100 million hours of video are consumed on Facebook every day. Get your brand in the game by making your own videos to draw users in. Make sure to keep consistent branding style and tone so that they’re more recognizable to visitors as your social media presence grows. If this strategy is out of your budget or resources, you can still start smaller by reposting popular, interesting, and helpful videos from reputable sources. 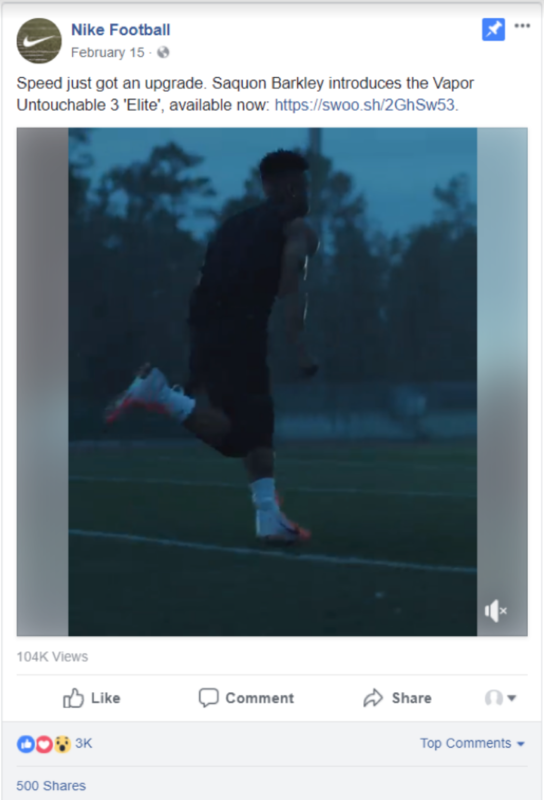 To generate interest for its new Untouchable 3 “Elite” sneaker model, Nike created a short video starring Saquon Barkley, the Penn State running back and one of the top upcoming NFL draft picks. The video drove a lot of engagement with Nike’s iconic storytelling full of drama, intrigue, and inspiration. 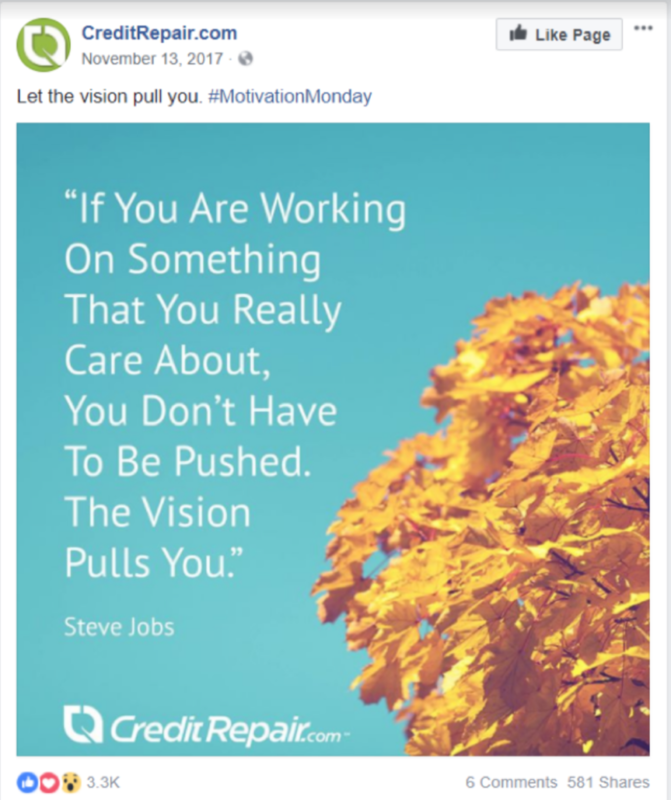 As shown above, the core concepts of gaining more Facebook page followers is to keep a consistent brand presence, engage with your audience, and appeal to their needs and interests. Start incorporating these tips into your daily posting strategy to see immediate results. The longer you stick with these tips and the more you integrate them into your overall social media strategy, the better your results will be. If you haven’t already, take 5 minutes to install our Facebook Follow Button, then sit back and watch your Facebook following grow overnight! 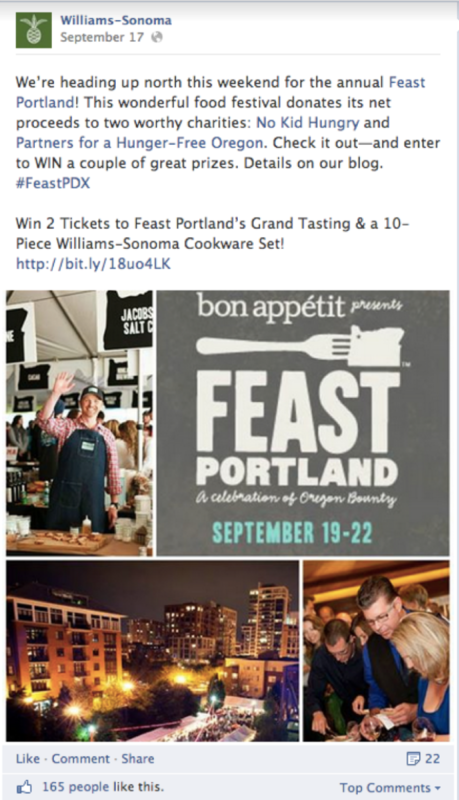 You can also check out the Facebook Share Button to get users to easily share your content. Love the Facebook Follow Button?